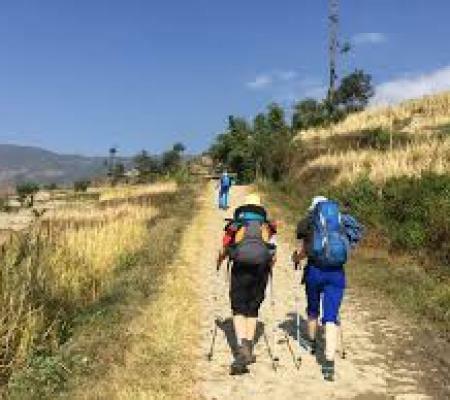 Chisapani to Nagarkot Hiking is one of the popular destinations which offers 6-days short hike in the ridge of the Kathmandu valley, and the route of this hike is one of the most famous in Nepal. 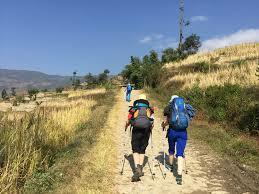 Chisapani to Nagarkot hiking is easy and short hiking on the eastern side of Kathmandu, which provides you an opportunity to hike in the forest. 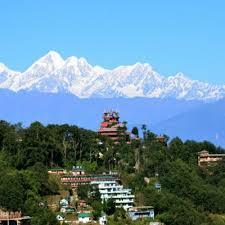 Chisapani to Nagarkot Hiking is one of the best-hiking destinations in the world. Encounter with Nepalese inhabitants and the Hidden Valley. 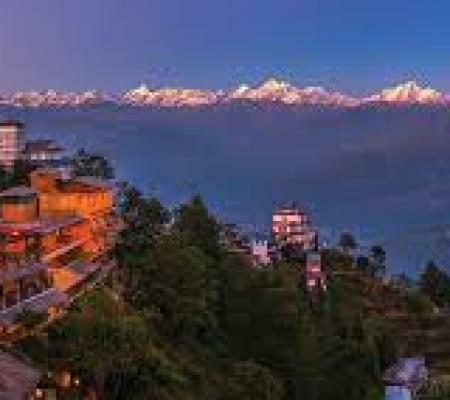 Nagarkot, one of the popular destination to view impressive mountain range and sunrise and sunset, which let you to have a great view of the Himalayas, including Annapurna, Ganesh Himal, Manaslu, Langtang, Dorje Lakpa and Gauri Shanker, Everest and many more. Sunrise in the background of the Himalayas is one of the best spectacular to view and experience. 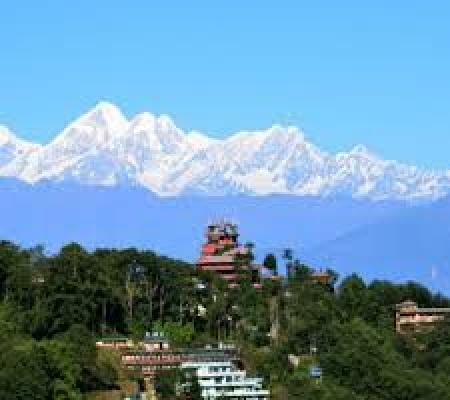 Another famous place Dhulikhel, which is filled with a plethora of cultural diversities, interesting traditional practices, lush vegetation and varieties of bird species. This Chisapani to Nagarkot adventurous hiking officially begin the short drive from Kathmandu to Sundarijal and enter into the Shivapuri National Park, a youngest National park and you will hike around 5 to 6 hours up to Chisapani, which offers you amazing high many Himalayas views. Then we will hike to Nagarkot, which is one of the most famous viewpoints to view the sunrise and sunset along with stunning Himalayan vistas such as; Annapurna, Dorje Lakpa, Langtang, Gauri Shanker, Ganesh Himal and many more. 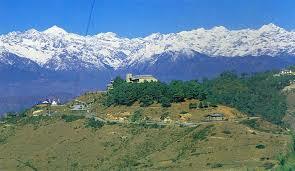 Nagarkot is one of the beautiful places which is situated at the altitude of 2211m above the sea level. Then after we will also visit Chagunarayan Temple, which is also enlisted in the world UNESCO heritage site. And finally, we will return back to Kathmandu. Day 04: Chisapani to Nagarkot (2175m) 6-8 hours, Overnight Hotel. Day 05: Nagarkot to Dhulikhel. Day 06: Dhulikhel to Navo Budhha to Balthali. Day 07: Balthali to Panuti and drive back to Kathmandu. Panorama view of the Himalayas including Annapurna, Ganesh Himal, Manaslu, Langtang, Dorje Lakpa and Gauri Shanker, Everest and many more. Our representative will welcome you at the Tribhuvan International Airport in Kathmandu and he/ she will transfer you to your hotel in Thamel Kathmandu where you can rest and be fresh. In the evening, you will join cultural dinner in the hotel. Overnight at hotel. Day 2 : Sightseeing in the Kathmandu and preparation for hike. As morning rises, after early breakfast, we will manage you to visit major world heritage sites such as Pashupatinath Temple, a sacred site for Hindu and Buddhist. Syambhunath temple famous for sightseeing of Kathmandu Valley, Royal Kathmandu Durbar Square, and largest Boudhanath Stupa through the world. In the evening, you need to be well prepared for the next day hike. Overnight at hotel. As you will arrive at the Tribhuvan International Airport in Kathmandu, our representative will greet you and he/she will transfer you to your hotel, where you can be fresh and do some rest. After some rest, you will drive around 45 minutes from Kathmandu to Sundarijal which is situated at the altitude of the 1350m. And you will trek around four hours which will take you to the beautiful place called Chisopani, which offers you amazing high many Himalayas vistas. The trail will follow Shivapuri Watershed and Wildlife Reserve. Then you will encounter with native settlement called Tamang and finally, you will reach to the Chisapani. Overnight at Chisapani. Day 4 : Chisapani to Nagarkot 2175m 6-8 hours. Next morning, before early breakfast, you will hike from Chisapani to Nagarkot. Around 6 to 7 hours hike will take you to one of the best places from where you will enjoy northern mountain views and stunning sunrise. The way to the Nagarkot, you will pass Chauki Bhajang and leads you to the most popular tourist destination and enjoy Himalayas ranges; Dhaulagiri, Everest, Kanchenjunga and awe-inspiring majesty and beauty of nature. Overnight at Nagarkot. 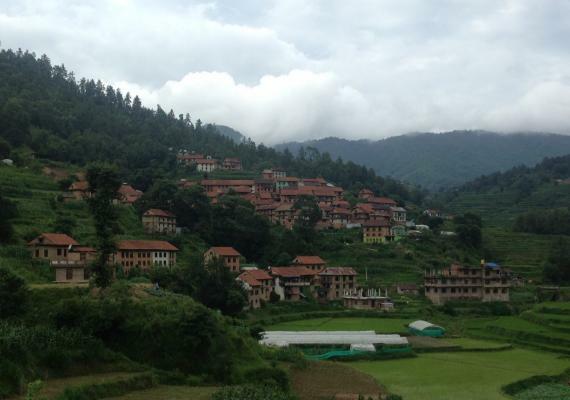 Day 5 : Nagarkot to Dhulikhel. Today, early in the morning, you will have a breakfast with the fascinating and mesmerizing view of sunrise and you will head towards Dhulikhel. Around 4 to 6 hours hike will provide you the exotic feeling of being close to the nature and culture of the village along with the awe-inspiring majesty and beauty of dramatic mountain views. 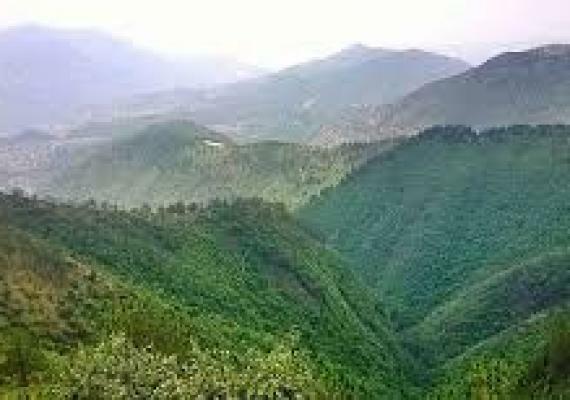 The genital trail toward Dhulikhel offers you to explore the natural beauty and have an exhilarating and enriching experience. Overnight at Dhulikhel. Day 6 : Dhulikhel to Navo Budhha to Balthali. In this day, early in the morning after having breakfast, we will head towards NamoBuddha which is situated at the altitude of 1982m. Around 3 hours from Dhulikhel, takes us to the amazing legend Buddha which commemorated by an ancient stone slab and a stupa and enchanting Balthali Village, which offers us an excellent mountains vista and the further trail leads us to the Balthali. Overnight at the Balthali. Today, early in the morning after having breakfast, we will depart Balthali and heads towards Panuti which is situated between the Punyamata and Roshi streams. Panauti is a Newari village, which is also famous for three-tiered Indreshwor Mahadev. Still, it is believed that Indreshwor Mahadev has an original structure which is raised in 1294AD. After exploring Panauti, we will drive back to Kathmandu and enjoy the farewell party in the evening and stay overnight at Kathmandu hotel. Day 8 : Kathmandu rest day and Farewell dinner. Today you will rest and recall all the memories which you were captured during the trek. Today you can do some shopping in the vibrant Thamel market and in the evening, you can enjoy farewell dinner in the Nepali restaurant which represent typical Nepal culture. Then overnight you will stay in the same hotel. 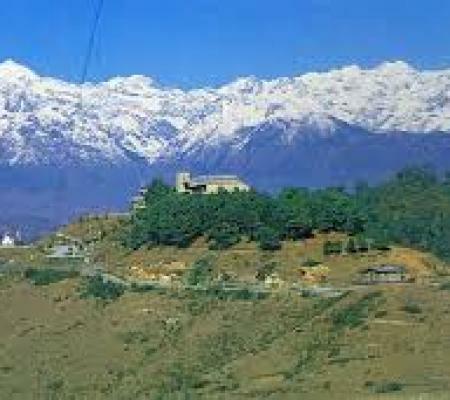 	4 Nights Hotel in Kathmandu with Breakfast. 	Accommodation and Food during the hike( Breakfast/Lunch/Dinner and Tee / Coffee each meal).